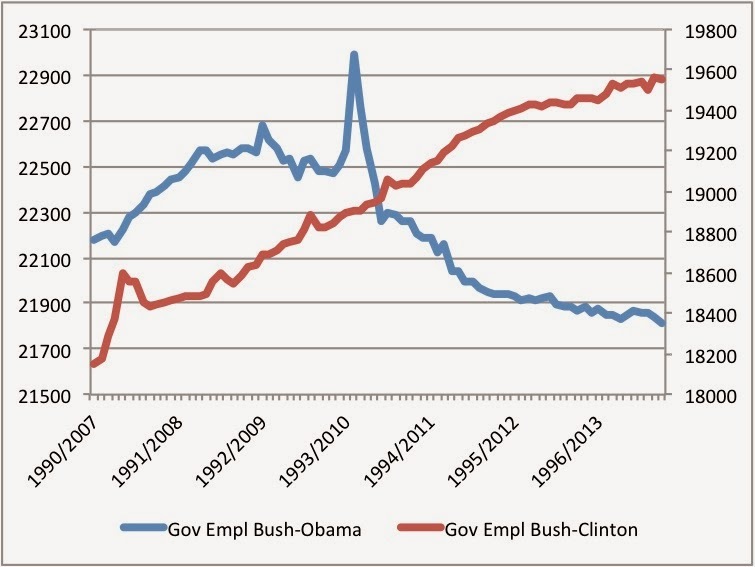 Same graph David posted (from Mother Jones) with one addition, total government employment in the period just before and after the 1990-91 recession together with the 2007-8 one [also I don't show private employment]. The bump of the 1990 census is less visible than the 2010 one. But the obvious difference is the increase in the 1990s and the decrease now.